On Thursday Senators Casey, Landrieu, and Braley introduced an act to make the Federal Adoption Tax Credit refundable. This would extend benefits to more families, ultimately helping more children come home. In 2011 62% of filers benefited from Refundable Credit. Washington, DC – Today U.S. Senator Bob Casey (D-PA) Mary Landrieu (D-LA) and Congressman Bruce Braley (D-IA) introduced the Adoption Tax Credit Refundability Act of 2013. The bill would make the Adoption Tax Credit fully refundable. Making the tax credit refundable would extend its benefits to more Americans. According to IRS data, 62% of filers in 2011 benefited from the refundable Adoption Tax Credit. The adoption tax credit was made permanent in the American Taxpayer Relief Act in January 2013. However, that law did not extend the refundability provisions that applied to the adoption tax credit in 2010 and 2011. The Adoption Tax Credit Refundability Act will restore the refundable portion of this critical support for families wishing to adopt. Preliminary 2011 data indicate that nearly 62 percent of families who filed for the adoption tax credit benefited from refundability. Forty-one percent of families who benefited from refundability (25 percent of all families who took the tax credit) had adjusted gross incomes under $50,000. These data indicate that a refundable adoption tax credit plays a significant role in lower-income families’ ability to adopt and support a child from foster care. Older data from a 2006 study cited by HHS demonstrate a significant financial benefit to society, as well: the cost of adoption and permanency is significantly lower than the cost to federal, state and local governments to provide long-term foster care. In light of the recent vote to make the Federal Adoption Tax Credit permanent I have updated some of the information here. We will continue to update as more details are released. We receive A LOT of questions about the Adoption Tax Credit and I wanted to compile as much information as possible for you. While this should give you a basic understanding of the credit I encourage you to talk to a tax professional about your personal situation if you have specific questions. Taxpayers who adopt a child domestically or internationally may qualify for the adoption tax credit. You qualify for the adoption tax credit if you adopted a child and paid out-of-pocket expenses relating to the adoption. The amount of the tax credit you qualify for is dependent upon how much money you spent on adoption-related expenses. If you adopt a special needs child through the State you can claim the full amount of the adoption credit, even if your out-of-pocket expenses are less than the tax credit amount. The adoption credit is calculated on Form 8839 Qualified Adoption Expenses (PDF). You may claim an adoption credit of up to $12,770 (preliminary estimate for tax year 2013) per eligible child. 2013 The credit begins to phase out at incomes above $190,000. The IRS provides a worksheet for figuring your modified adjusted gross income for the adoption credit in the Instructions for Form 8839. Any income excluded from tax using the Foreign Earned Income Exclusion must be added back for the purposes of determining the phase-out range for the adoption credit. The adoption credit was scheduled to sunset at the end of 2010. However, the massive health care reform legislation extended and revised the adoption tax credit. The health care legislation also enhanced the adoption tax credit in three ways. First, it bumped the maximum adoption credit from $12,150 to $13,170. Second, it extended this increased tax credit amount to the year 2011. Third, it made the adoption credit refundable which meant a full payout for adoptive families. This caused many issues for the IRS and families receiving their returns and many having to send in proof of expenses and documentation for their adoption. There are still families today that are working on receiving their 2011 returns. The Tax Relief Act extended increased dollar amounts for an additional year, through 2012. Pay qualified adoption expenses out of your own pocket. a child of any age who is a US citizen or resident alien and who is physically or mentally incapable of caring for himself or herself. Subtracting any amounts reimbursed or paid for by your employer, government agency, or other organization. Adoption expenses include any and all costs directly relating to your adoption and that are reasonable and necessary for your adoption. Expenses include adoption fees, legal fees, court costs, and travel expenses. Taxpayers who adopt a special needs child can claim the full amount of the adoption credit without regard to the actual expenses paid in the year the adoption becomes final. What year you can claim the adoption credit depends on when the adoption was finalized and whether the adopted child is a US citizen, resident alien, or foreign national. for expenses paid in the year after the adoption is final, you take the adoption credit in the year the expenses were paid. For example, you adopted a child in 2009, but you paid adoption expenses in 2008, 2009, and 2010. Your 2008 expenses are taken on your 2009 tax return (they must be delayed by one year because the adoption was not final). Your 2009 expenses are taken on your 2009 tax return (because they occurred in the same year as the adoption became final). You take your 2010 expenses on your 2010 tax return. In this example, your 2009 adoption expenses include costs incurred in both 2008 and 2009. If the child is a foreign national, then you take the adoption credit only in the year when the adoption becomes final. Any expenses paid in the year after the adoption is finalized, you can take a credit for those expenses in the year that you paid them. If your adopted child does not yet have a Social Security Number, you must apply for an Adoption Tax ID Number (ATIN) in order for you to begin claiming your adopted child as a dependent. The IRS provides comprehensive information on the Adoption Taxpayer Identification Number. Any adoption credit in from 2009 and before or 2012 and after that was in excess of your tax liability can be carried forward to the subsequent tax year. Excess adoption credits can be carried-forward for five years and is used up on a first-in, first-out basis. We praise God that the American Taxpayer Relief Act of 2012 (the bill to avert the fiscal cliff) made the adoption tax credit permanent! The bill permanently extends the increased adoption tax credit and the adoption assistance programs exclusion. Taxpayers that adopt children can receive a tax credit for qualified adoption expenses. A taxpayer may also exclude from income adoption expenses paid by an employer. The Economic Growth and Tax Relief Reconciliation Act of 2001 increased the credit from $5,000 ($6,000 for a special needs child) to $10,000, and provided a $10,000 income exclusion for employer-assistance programs. The Patient Protection and Affordable Care Act of 2010 extended these benefits to 2011 and made the credit refundable. The bill extends for taxable years beginning after December 31, 2012, the increased adoption credit amount and the exclusion for employer-assistance programs as enacted in EGTRRA. There are still questions about the credit becoming refundable and some have encouraged people to contact congress to push for this. We will post more as information becomes available. For more information on how the Federal Adoption Tax credit you can read this post. Many of you have wondered what will happen to the Federal Adoption Tax Credit after it is set to expire at the end of this year. On April 17, 2012, Rep. Bruce Braley (D-IA) introduced the Making Adoption Affordable Act. The act will permanently expand the federal adoption tax credit to $13,360 and make it refundable. Congressman Braley’s bill is an important first step in making this financial help available to families into the future and therefore help many more children into Christian homes. For most families the financial cost of adoption is the number one hurdle to moving forward. We have seen the Tax Credit serve as a catalyst to many families taking the step of faith in adoption and hope to see it continue. Will you join us in advocating on behalf of orphaned and vulnerable children by contacting your member of Congress to urge them to vote “YES” on the Making Adoption Affordable Act? You can find the contact information for your Representative by clicking HERE. There is a lot of buzz around the blogs and twitter about the adoption tax credit. Some are receiving their credit while others are receiving letters asking for more information. This past week the IRS released some guidelines to help families. The adoption tax credit, which is as much as $13,170, offsets qualified adoption expenses making adoption possible for some families who could not otherwise afford it. Taxpayers who adopt a child in 2010 or 2011 may qualify if you adopted or attempted to adopt a child and paid qualified expenses relating to the adoption. Taxpayers with modified adjusted gross income of more than $182,520 in 2010 may not qualify for the full amount and it phases out completely at $222,520. 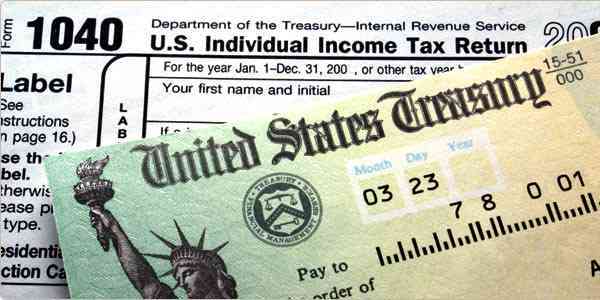 The IRS may make inflation adjustments for 2011 to this phase-out amount as well as to the maximum credit amount. You may be able to claim the credit even if the adoption does not become final. If you adopt a special needs child, you may qualify for the full amount of the adoption credit even if you paid few or no adoption-related expenses. Qualified adoption expenses are reasonable and necessary expenses directly related to the legal adoption of the child who is under 18 years old, or physically or mentally incapable of caring for himself or herself. These expenses may include adoption fees, court costs, attorney fees and travel expenses. To claim the credit, you must file a paper tax return and Form 8839, Qualified Adoption Expenses, and you must attach documents supporting the adoption. Documents may include a final adoption decree, placement agreement from an authorized agency, court documents and the state’s determination for special needs children. You can still use IRS Free File to prepare your return, but it must be printed and mailed to the IRS, along with all required documentation. Failure to include required documents will delay your refund. The IRS is committed to processing adoption credit claims quickly, but it also must safeguard against improper claims by ensuring the standards for this important credit are met. If your return is selected for review, please keep in mind that it is necessary for the IRS to ensure the legal criteria are met before the credit can be paid. If you are owed a refund beyond the adoption credit, you will still receive that part of your refund while the review is being conducted.